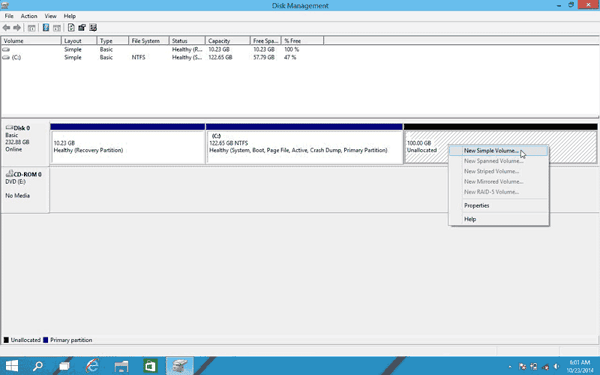 Your computer has only one partition and you want to create more partitions on Windows 10 for management of your data and files. Windows 10 locates its system and program files in C drive and if your PC have only on a partition you need partition the hard disk and create new partitions of Windows 10 for free use the Disk Management method. Don't forget to create a backup before performing any operations. 1.Search for "hard disk partitions" at the Start Menu or Search tool. 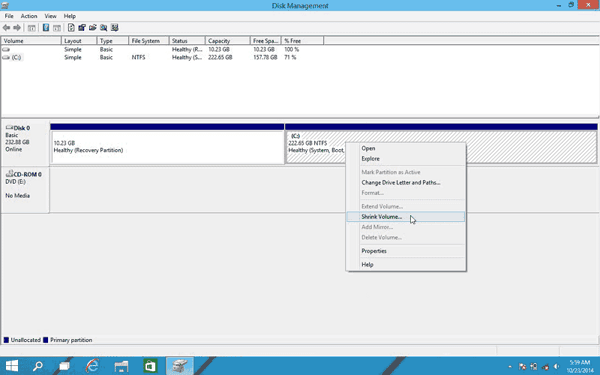 2.Enter into the Windows 10 Disk Management interface. 3.Right-click on the hard disk and select "Shrink Volume". 4.Enter the volume of space you want to shrink in MB then click on the Shrink button. 5.Right-click on un allocated space and select “New Simple Volume”. 6.Click on Next and specify volume size then enter to New Simple Volume Wizard interface. 7.Assign Drive Letter or Path, then format the partition into default file system NTFS. 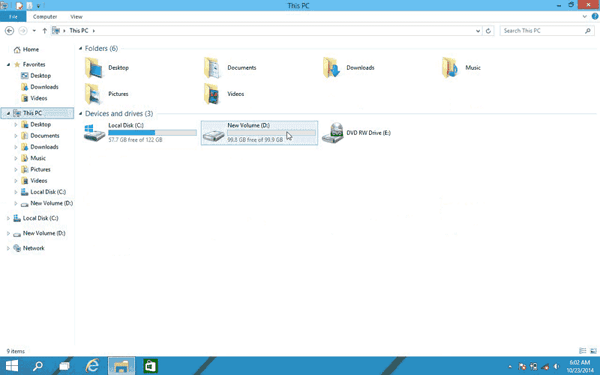 8.Click Finish to complete creating a new partition in Windows 10. Here your are done with partition.